Home | Where | The BIP Johannesburg 2019 Dates to be announced soon. The BIP Johannesburg 2019 Dates to be announced soon. Resort venue to be confirmed and announced soon. Alec Blacklaw has a passion for working with business owners to make their business more profitable, valuable and enjoyable, so that they can live the life they desire-with more options. 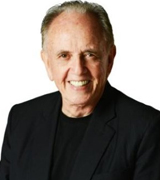 Alec is the Founder and Creator of The Business Improvement Program. A Strategic Business Improvement Specialist Alec is super passionate about working with owner managed business owners who are serious about getting improved results for their business. He has a broad business background gained from working in commerce with a leading Multinational and from working with thousands of businesses at different phases of their business cycle. Alec has sat on many Boards, and has been a Business Owner, Mentor, and a Business Advisor in Practice consulting for over the last 28 years to a broad range of industry segments -mostly who are privately or family owned businesess, who are the engine room of the economy. 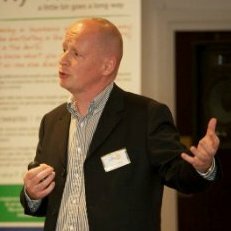 A passionate and enthusiastic speaker, Alec has been referred as a commercial business guy who truly cares about people and is seriously focused on getting great results for business owners, often challenging the traditional thinking to find a better or smarter way to tackle an opportunity or challenge through implementation and moving your business forward. As a strategist at heart and with an entrepreneurial spirit, Alec is focused on leveraging the 9 Key Success Strategies for success implemented by the very best leaders & businesses to drive and enhance individual & business performance. Holding a Bachelor of Economics, a member of CPA Australia for 25 years, Alec is a lifelong learner of what the best businesses do to be successful over the longer term. A Director at Blacklaw Advisory, one of the leading Strategic Business Improvement & Advisory firms in Australia, based in Melbourne, with clients in loads of diverse industries. They range in size however all have a similar purpose or objective > to make their business more profitable, valuable & enjoyable. Alec is the Area Representative – (Asia Pacific) for MSI Global Alliance – one of the world’s leading Accounting & Legal Alliances. Alec loves to get great results for his clients – he loves people, business, his family, football, eating good food, drinking good wine and single malts and travelling … not necessarily in that order! Paul is a 4-time TEDx speaker. He is a Senior Fellow in one of the World’s Leading Think Tanks and holds a Lifetime Service Award to the Accounting Profession in the UK. He was honoured as a Social Innovation Fellow in his new home of Singapore; something he shares with film-star and philanthropist Jet Li and Walmart Chairman, Rob Walton. He was one of the first 10 people in Hewlett Packard in Australia. He then created one of Australia’s first computer companies. He then created Results Corporation where he helped develop and grow 23,000 small and medium scale business enterprises. 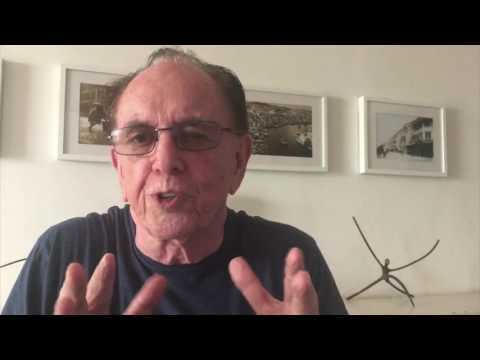 He first made his mark on the Accounting profession through the radical Accountants’ Boot Camp process enabling over 17,000 Accountants worldwide to work with their clients in new ways. Paul continues to push the boundaries. He recently featured in Forbes Magazine alongside Sir Richard Branson in a global piece on ‘disrupters’ in business. His book, (co-written with Ron Baker and published by Wiley) ‘The Firm of the Future’, is widely regarded as a breakthrough book for professional firms. In late 2015, Paul was honoured by the Accounting profession in the UK as the recipient of its inaugural ‘Outstanding Contributor to the Profession’ award. He is Chairman of the revolutionary B1G1: Business for Good, a movement that’s already enabled businesses to connect in new ways and create over 115 Million giving impacts around the world. Adam Gray is a marketer and co-founder of Digital Leadership Associates. He has worked in marketing for quarter of a century, 20 years of that in digital marketing and for the last decade or so has specialised in Social Media and social transformation. He was fortunate enough to be working at a large London digital agency at the very beginning of the social media revolution and realised that was the future of marketing, communications and business. Since then he has worked with organisations of all sizes, ranging from small businesses to some of the world’s best known brands. He wrote the first book on using social media for business by a major publisher (Pearson – as part of their Brilliant series) which subsequently became a best seller. He has just finished a three year spell at Oracle where he was Head of Client Social Media for EMEA working with clients from Dublin to Dubai, helping them crystallise their social vision and overcome the roadblocks to successfully deploying it within their organisations. He is passionate about driving the social revolution within organisations, not just through using clever techniques to prove ROI but to help organisations manage the change to become socialised. “The online world is constantly changing and it can often be a very confusing place. Simon is a leading digital marketing expert and Masterclass Trainer for Google in Europe and the UK .Through ‘Rethinking Digital’ Simon brings you closer to the opportunity that online brings and make your business one of the few out there actually reaching their potential online. Offering online advice from strategy to build, he specialises in payperclick (PPC) advertising and search engine optimisation (SEO). 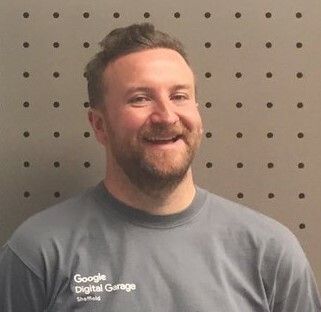 Simon is Google Adwords qualified, a Google Partner, lead trainer and an advisor working for Google as part of their outreach program the Digital Garage. Prior to founding his own business and his association with Google, Simon’s background has been working within digital agencies. Over the last 13 years he has covered everything from website design and build to integrated and engaging viral marketing campaigns. Working with blue chip clients such as ASDA, MercedesBenz, Land Rover and Hugo Boss has seen Simon deliver a number of high profile digital marketing campaigns and projects. The important ingredients for success. Why 2 out of 3 isn’t enough. What the great businesses have discovered. Revisiting your big “Why” and developing your core values. Setting an awesome Vision for your business. Understanding and implementing the Strategic Planning process. How to differentiate your business in a crowded market. Developing the right products and services. The truth about getting to the top of Google rankings. Effective digital marketing and sales strategies. Realising the power of Analytics. Developing a People Management System that works. What your people really want. Building a high performance team. The Drivers of Business Profitability. The numbers that really matter. Critical Success Factors, the Keys to your Success. Developing an Intelligent Management Reporting System. The power of positive cash flow to fund growth. Developing the right systems & processes. Effective use of technology today and tomorrow. Using your time wisely for improved productivity & outcomes. Building a remarkable reputation in the new digital economy. Strategies for building an engaging and valuable brand. Profiting from your public profile. Being the constant topic of conversation as a thought leader in your industry. What the Best Leaders Do to create a Brilliant Business. Steps to becoming an Effective Leader. Building a Profitable Business Model. Building Value in Your Business. The BIP will commence promptly at 8.45 am on the first day (Registration at 8.00am). The BIP runs for 2 full days with 1 night compulsory accommodation. We take care of all meals, drinks and activities over the course of the 2 days. – You book your accommodation directly with the Hotel and we are pleased to offer you discounted rates for the conference and the few days leading up to and directly after the BIP so that you can prepare for the conference, brainstorm and begin to implement with your colleagues or family. Or simply relax before and after the BIP and enjoy the wonderful facilities. – We have organised some really terrific and healthy food for you over the 2 days and 1 night however if you have any special dietary requirements please advise us at your earliest and we will take care of this for you. – The dress standard is smart casual (jeans are fine, smart shoes, no holes… we’re not the fashion police but its cool to look good, people notice! ), dress for comfort and be mindful of the weather. The program is largely run indoors however we hope to get out on occasions for the breakouts and a team building session subject to the weather. – The Hotel has some fantastic facilities so feel free to bring your sports clothes or bathers so you can do your thing… and yes they have a very good golf course! The 2-day Business Improvement Program which is fully tax deductible. See more here. Comprehensive course content & breakout sessions to reinforce all learnings. Comprehensive workbook, notes, examples & case studies. Successful high profile Guest Speakers including opportunity for one on one discussion. Full use of the Resort facilities. If you book now and have to cancel your ticket later, these are the refund terms. However, in all cases your ticket can be transferred to someone else. Who should come to the BIP? Anyone who is serious about moving their business to the next level regardless of their size or the phase of business they are in. Business owners who want to learn from what the best business owners and CEO’s have done to make their business one of the best in their segment. Business owners who wants to grow and develop and get greater strategic direction. Business Owners who want to attend with/or send their manager as part of their succession plan. Owner managed or privately held business owners who know they are missing something, who know there’s a better way and want to get better results- and who would love to have a more profitable, valuable and enjoyable business. A director who wants to bring a fellow director so they can work on their business together and have time away from the business to work on their own business,with fresh perspective. A manager or emerging leader in a business who wants to build on their skills and experience to move themselves or the business to the next level. Franchise owners or franchisees who feel they need another perspective on how things can be done better or differently. A CEO or COO or CFO in any business,- or you may be wearing all of those hats! The BIP not industry specific, it’s based on what the best businesses have done to get to the top of their field . You will learn a fresh way and best practice – we will challenge the way you do things right now so that you may enjoy improved outcomes moving forward. A established business owner who wants to do things better, or you may be starting a business and want to do it better than the last time. Those considering the sale of their business and want to maximise the value of the business, the sale price and who want more options on any exit – full or partial, internal or external. Or you may want to bring a few people from your Leadership team or Board so you all get on the same page to drive your business forward. Like to know more or have your questions answered before you book? In summary, The BIP is for any business owner or leader who is serious about creating a better business that is more profitable, valuable and enjoyable and who wants to develop further skills in leadership, people, building a brand, understand the key numbers to profitable growth and want to be able to fund their growth… and more. Who can I speak with to know more before I book? We know that you may want to know more about The BIP or the value you can expect before you commit to signing up. That’s only natural. We want to ensure you know what to expect and the sort of returns you will get on your investment. We invite you to contact your local partner or Alec Blacklaw on 61 408 351403 to speak with him directly or email Alec on alec@blacklawadvisory.com.au. We want to ensure you get awesome value from the BIP just as the previous attendees have. Or why not come along to one of the free Preview sessions to see for yourself – where you will get a great sense of what you will experience . It really is unlike any other conference you have been on! We are doing okay, but not sure we are building an asset we can sell. Will I really learn things I can use in my business to improve our performance and our value? The BIP will deliver an analysis of the fundamentals of business and the strategic process required to enable you to significantly improve your business. And increase the value of your business on any sale with more options under either a voluntary or involuntary event occurring (Death or TPD). You will focus on actively improving your business and your financial position through a combination of case studies, keynote speakers and practical exercises supported by lots of breakouts, all designed to allow you to work on your business over the 2 days to implement the 9 Key Success Strategies from each of the agenda session – allowing you to meet your objectives and to address your current challenges. The sessions cover all aspects of business, from ensuring that business owners begin with the end in mind, to understanding your big why and building Trust, to designing excellent customer management and service, building a powerful brand, developing a winning culture, engaging leadership, getting the best out of your people, how to connect in a digital world and strategically leverage the power of social media, financial management essentials and succession planning – with key strategies delivered on how to make your businesses c more profitable, valuable and enjoyable. Participants will work together in small teams over the 2 days assessing their own businesses, listening to what the best businesses have done, and practically implementing many of the strategies in each of the regular breakout sessions. All of the 9 Key Strategies roll on to have a ‘Rotating CEO breakout’ whereby participants practically apply the learnings and work on their own business using the Key Success Strategies with the support of their team and with guidance from all of the expert speakers. There are loads opportunities for networking and sharing ideas with other business owners from different industries or backgrounds and personl tiem with the speakers, in a relaxed and trusting environment, on what they do in their business that might be adaptable to your business for improved outcomes. The power is in the Implementation – applying the fresh perspective and key success strategies to improve your business on so many levels. Can I bring my business partner, my manager or my life partner too? You certainly can. Previous attendees have often said it has been really helpful to have the other important person in their business or life attend so they can work on their issues, challenges and opportunities together. While it’s fresh in their mind. Plus we have a 3 course dinner and drinks on Day 1 where great ideas are exchanged and we encourage you to bring your life partner to this also -its always lots of fun and everyone tends to share openly in a relaxing environment. Some people arrive the day before to relax, brainstorm and be fresh to go on Day 1. We have organised special accommodation rates with the venue that you can enjoy. Plus after The BIP finishes some delegates have stayed on to flesh out, brainstorm, implement and document their next steps and action plan. And enjoy the tremendous facilities of the luxury venue! What if I come along and don’t get any value from the program… how does the money back guarantee work? Your investment is fully guaranteed, and if at the end of the two days you have received no value from attending our program, your investment will be refunded in full – no questions asked. There are no catches or difficult hurdles to jump through. That’s why we call it a no quibble money back guarantee! We simply ask that you bring an open mind, a desire to improve what you’re currently doing and be prepared to try a few new things. You will work in a small group with business leaders from all sorts of industries and from whom you learn from as well over the 2 days. Our experience tells us that tribes, clusters and small groups work best to achieve superior outcomes. We have deliberately limited the numbers of participants to maximum of 40-50 given the highly immersive format and style of the program. It’s all about taking action and doing stuff, it’s not a talk fest. You will get up close to the special guest speakers and have an opportunity to ask them questions about your business. Naturally we can’t refund the accommodation costs as this is paid directly to each Hotel so that you can enjoy the special rates. I’ve been to seminars and business programs before, in fact I’ve even had a business coach… how is this different? Past attendees tell us The BIP is unlike any other program or conference they have ever been to and they take something from every single session. Don’t take our word for it – see what they have had to say about their experience of attending The BIP. You will receive a detailed workbook, examples and unique learning experiences that you will put into practice each day based on all of the individual 9 Key Success Strategies in each of agenda sessions. Practical real life stuff of what the best in the world are doing in the high paced disruptive, commercial and digital world we live in. This is not a talk fest, or a big stadium experience for the masses – you will work in small groups over the 2 days, with regular breakouts so you can implement each of the success tips. The speakers and the other business owners will work with you on your business issue, opportunity and proven or challenge. This is a very powerful, hands on and practical learning experience and is guaranteed to improve the performance of your business. Graduates of the program will discover how to run a significantly more effective, more profitable and more enjoyable business. The focus is on implementation of the very cool ideas and strategies that will make a huge difference to your business, your own team and your clients. You will hear from industry leaders and take away ideas, examples and processes that have worked so successfully in a wide range of businesses and understand how you can apply them to your business for much improved outcomes. One of the many small but powerful ideas implemented successfully can pay for the price of this program many times over. You’ll learn how to add simple, powerful and proven strategies to your existing business model. You will also learn how to leverage these ideas to provide the growth consistent with your goals to get better results and enjoy even more of what you do. What does the BIP Package Fee cover? Leading national and international business experts in key ares of business – practical, proven and commercial. All meals and drinks – morning tea, lunch, afternoon tea, 3 Course Dinner and drinks for the 2 days and the 1 night. Direct access to each of the successful high profile expert speakers including lots of opportunities for one on one discussion. The only thing you need to pay for in addition to The BIP fee is the accommodation at the Venue – where we have arranged specially reduced rates for The BIP and the days before and after the program. An acompanying person or spouse will be invoiced (at cost) for the 3 course dinner and drinks on the evening of day 1. I need to move my business to the next level but I’m not sure how? The BIP is a totally immersive, practical and action packed 2 day/ 1 night live in event where you will learn what it takes to create a truly extraordinary business which is even more profitable,valuable and enjoyable – where you have more options to live the life you desire. The Business Improvement Program will provide you with the mindset, the tools, the knowledge and the support you need to move to the next level and truly differentiate. More importantly you will learn from the most successful business leaders on how to implement these things to deliver sustainable results. This comprehensive 2 day live in program provides you with the 9 Key Success Strategies necessary to enhance the value of your business – all in a fabulous location with an outstanding mix of speakers! Part of the Program is focussed on moving your business and your people to the next level. This means a number of things to differnt organsisations depending on their size, location , industry and the individual challenges and opportunties they are facing so we dive into a variety of approaches and strategies that businesses have implemented with success. Plus we get to actually work on options and develop the plans required in order to strengthen our chances of success and sustainability. This proven and successful Business Improvement Program carries a full money back guarantee if you have not received any value at the end of the 2 days. ‘I’ve loved everything really. I know that sounds weird, but I’ve been on loads of training courses in my career and usually there are some sessions where they are just flat, boring… or I don’t get anything from it, but I can honestly say that in every session here I have taken something away for the business which is massive. And it means I am going to be busy for a long long time.